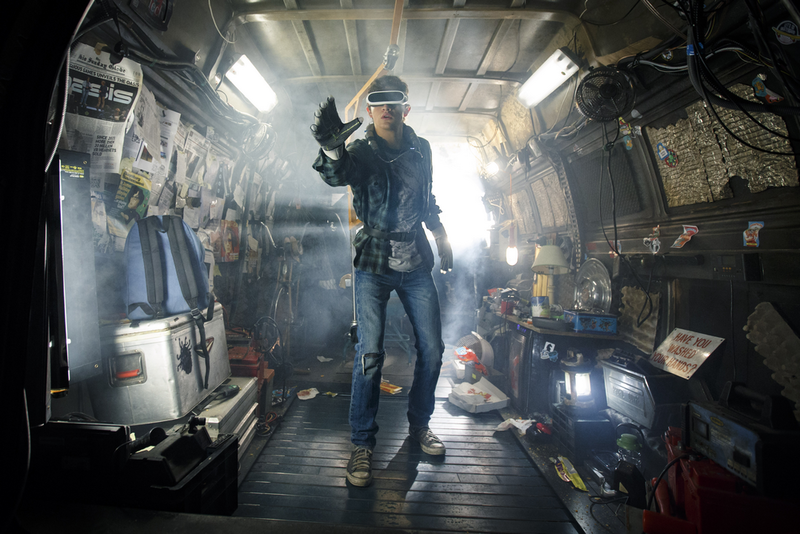 TYE SHERIDAN as Wade in Warner Bros. Pictures’, Amblin Entertainment’s and Village Roadshow Pictures’ action adventure “READY PLAYER ONE,” a Warner Bros. Pictures release. Everyone loves a good throwback. Ready Player One is sure to give everyone an extra heavy dose of nostalgia. The question is, how do you take that home with you? Well, we’ve got the answer! You throw an 80s themed party! 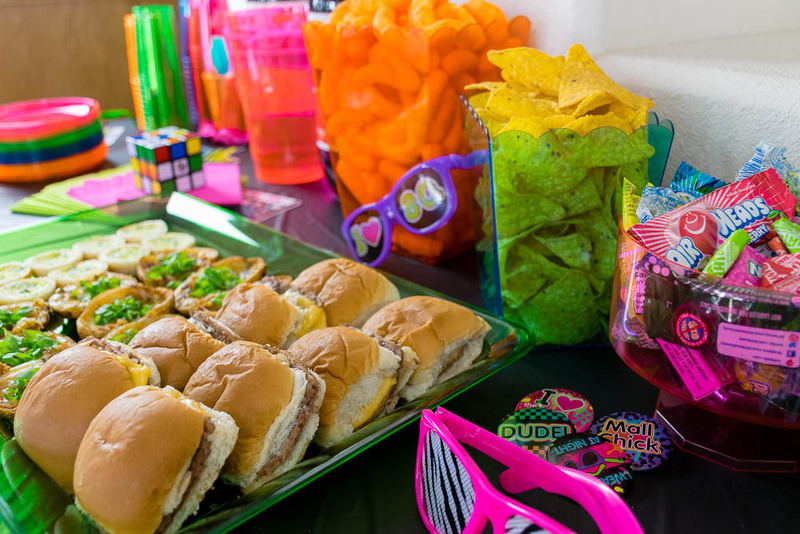 With our help, your party will be a totally radical night full of fun and food! We decided the best way to frame this guide with by breaking it down by the 3 elements that make a great party: food, decor, and entertainment. Food of the 80s was a mixture of decadent upscale food and convenient snacks. Given the type of party, we will discuss the convenient types of food. White Castle Burgers– While these were not invented in the 80s, the decision to freeze them came about then. This means that those adorable little freezer burgers are a fun and customizeable item to serve! Potato Skins– Definitely a food make popular in the 80s, potato skins are another customizeable favorite. If you are short on time, go with the freezer version. Otherwise, you can make them from scratch. Mini Quiches– Quiche was HUGE in the 80s. As with the potato skins, you can go with a freezer version or make your own! Chips– Chips are always a popular party food. To really bring the tone of the 80s we suggest Cheeto Puffs and Cool Ranch Doritos. If you are showing a movie, popcorn is also a good option. Sallah’s Date Spread– Inspired by Raiders of the Lost Ark, this would be great as a spread or on bruschetta. Spirited Noodles– Technically this was inspired by Blade Runner 2049, but the original was an 80s film! To make this more party friendly, serve it in small takeout boxes. Freddy’s Coffee Rubbed Steak Bites– To this day, this is one of our most popular party recipes. We have served them several times and they always disapper! 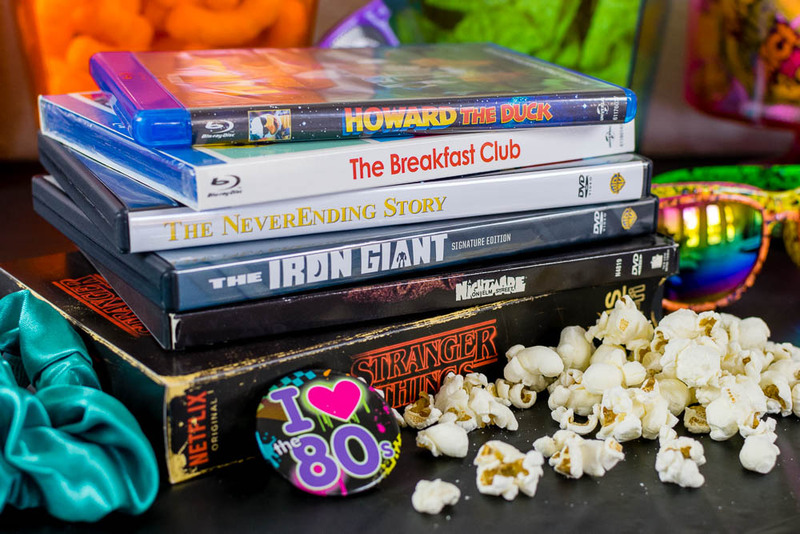 The entertaiment for your 80s themed party could go a few different ways. Whether you choose to have a movie night, a casual get together, or even game night, we have ideas for you! Also, you need to consider the ambiance for your party and we have ideas for that as well! Movies– Show some of your favorite movies of the decade. Some of our favorites include: The Breakfast Club, Nightmare on Elm Street, Running Man, Indiana Jones and the Temple of Doom, The Neverending Story, and Blade Runner. TV Shows– Find your favorite tv shows of the 80s on Hulu and Netflix and have those running. You can also find classic 80s commercials on YouTube for a fun blast from the past! Stranger Things is also a good option for those who want a modern show with a nostalgic feel. Games– There are plenty of games around still that were popular in the 80s. Monopoly, Scrabble, and Connect Four are all great for a group. If you want something more modern, the Stranger Things Card Game is a blast! Another fun idea is get a couple of Rubiks Cubes and see who can solve it first! Music– We suggest this for any party, but create a playlist on your favorite streaming outlet. This will set the tone for your party. 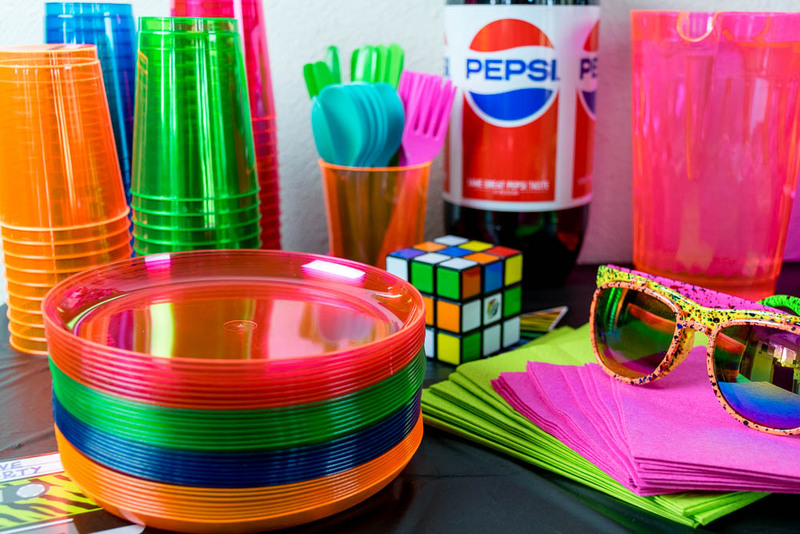 We hope you have gotten a ton of useful tips for your 80s themed party! But now for the really fun stuff! There are a couple of fun ways to experience Ready Player One. First, we are giving away 10 pairs of screening tickets for a sneak preview of Ready Player One! The screening will be held at IMAX at Arizona Mills on Monday, March 26th. The screening starts at 7 pm and the winners should arrive at 6:15 in order to guarantee their seating. Winners will be selected on Friday, March 23rd. The second way is the Ready Player One x Hot Topic Present: The Oasis Experience, a limited-time only traveling retail experience. Welcome to 2045 will feature exclusive fashion collaborations with Hot Topic, Funko Pop Collectibles and Warner Bros. Consumer Products. Offered on a first-come, first-served basis, the traveling retail experience also features an exclusive first-look at the film and other socially-shareable moments such as exclusive black-light posters, and a museum of holographic artifacts from 2045. The Oasis Experience will be at the Tempe Festival of the Arts on Saturday March 24th starting at 12pm!